The government’s ‘National Living Wage’ could result in the collapse of care sector, according to the five biggest care providers. Four Seasons Health Care, Bupa, HC-One, Care UK and Barchester wrote to Chancellor George Osborne to warn that the plan will cost the sector £1 billion by 2020, the BBC reported. Under plans announced in the Summer Budget 2015, workers aged over 25 in the UK will be paid a minimum of £7.25 an hour from April 2016, rising to £9 an hour by 2020. The government will also increase the employment allowance for national insurance contributions from £2,000 to £3,000 in April 2016, in order to help businesses meet the increased cost of paying their staff the new wage. While the companies support the National Living Wage, they claimed that staffing accounts for 60% of the cost of care which means that efforts will be needed to rescue the care system. But even after accounting for these changes, the United Kingdom Home Care Association (UKHCA) estimates that the new ‘living wage’ will require councils to pay at least £16.70 per hour, including care workers’ travel time and all other costs. This is an increase of £3.04 on the average hourly wage paid by councils, which is £13.66 according to recent Freedom of Information request carried out by UKHCA. The UKHCA said that it estimated local authorities and the NHS would need a funding increase of at least £758m to implement the policy in 2016-17. 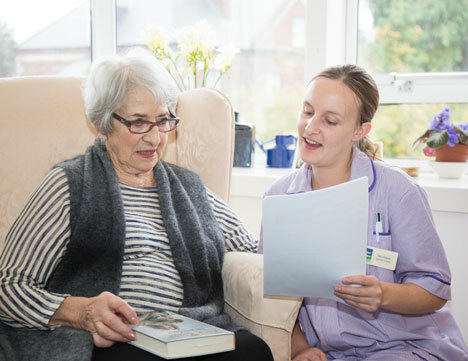 The UKHCA said: “Market exit by providers would cause considerable distress for people who use the home care services and their families; create a significant burden for local councils who have to find replacement providers and provide uncertain employment prospects for trained and committed care workers. Martin Green, Chief Executive of Care England which represents the care home industry, said: “Without adequate funding to pay for the National Living Wage, the care sector is at serious risk of catastrophic collapse.” and that there was a “grave and very real possibility” that a provider could fail within the next two years. A government spokesperson said: “The National Living Wage will benefit hundreds of thousands of care workers who will see their pay increase. The overall cost of providing social care will be considered as part of the spending review later this year and we are working with the care sector to understand how the changes will affect them." If you are in work but on a low income, there may be benefits, grants or other financial support available to you. The ‘In work - on a low income’ section of the Turn2us website has information about ways you might be able to get help. This includes information on Working Tax Credit. You can also check your benefit entitlement using the Turn2us Benefits Calculator or find out whether you are eligible for charitable grant using our Turn2us Grants Search. The Turn2us Your Situation online section contains resources such as managing money, including useful links and a Find an Adviser tool to help you find national and local sources of further help.